Ben & Jerry’s have really stolen part of my vegan heart since they launched their non-dairy ice creams in September 2017. 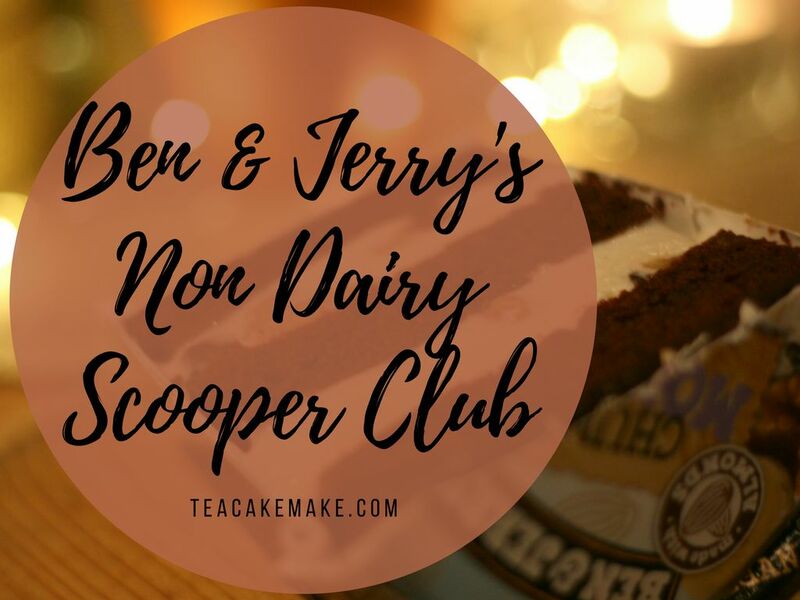 So when I received the invite to their first non dairy Scooper Club (see what they did there?! ), I knew I HAD TO GO. 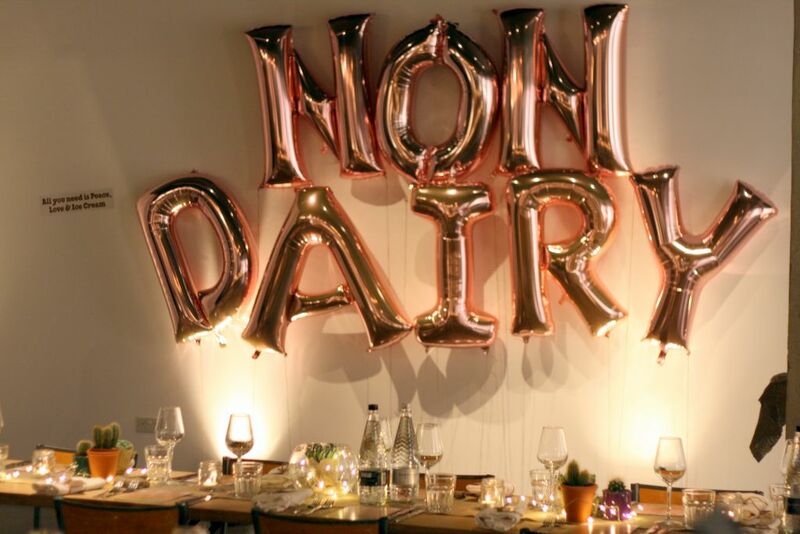 The evening’s menu was to be devised by Gaz Oakley (AKA Avant-Garde Vegan), and Pixie from Plant Based Pixie, and I had my assumptions that the food would be based around the Ben & Jerry’s non-dairy flavours, but I was already trying to figure out what the food would involve. The event was held at Carousel, in London’s Mayfair district. It’s about a 5-10 minute walk from Bond Street station and is a lovely space which companies can hire to hold events. I got to see some of my vegan blogger friends – Sarah from Sarah Kirby Blog, and Luisa from Luisa-Christie, who I always enjoy seeing at events, plus I met the lovely Jen from Simply Living Vegan for the first time. It was great meeting her as we’d chatted on Twitter quite a lot, but we’d never managed to meet. I also met some other lovely people; Phoebe from The Receipts podcast, Chessie King, and Helen Burke-Smith from The Plant Based Bella, who were very sweet, fun and entertaining dining companions! As you can see, the area was really nicely dressed for the event, with lovely long wooden tables, topped with hessian runners and succulents. As mentioned before, the menu was devised in collaboration with Plant Based Pixie and Avant Garde Vegan, with Ben and Jerry’s ending the meal with dessert. 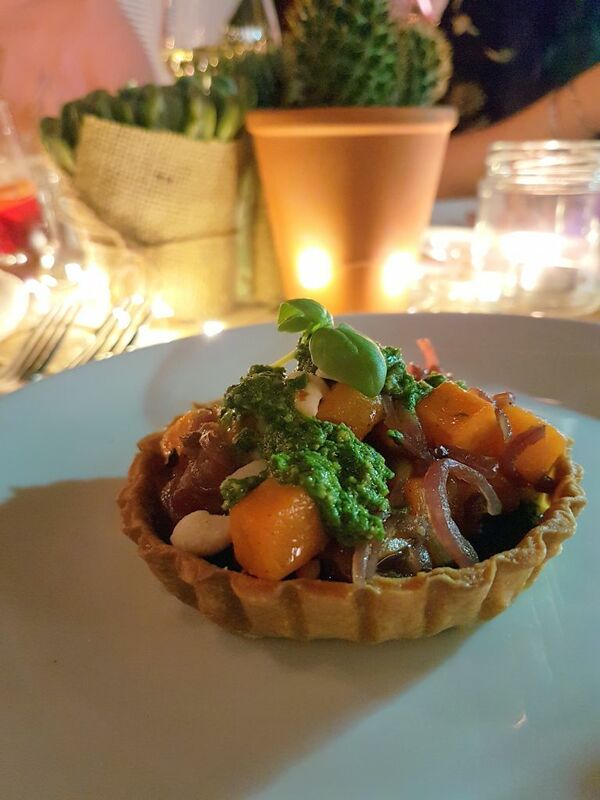 Up first was Peanut Butternut Squish Squash by Plant Based Pixie – a butternut squash and peanut tartlet, topped with a vegan pesto swirl. Now I’m not super into peanuts, but this was so delicious. The flavours worked together really well, and the pastry base was absolutely heavenly. Nice work, Pixie! 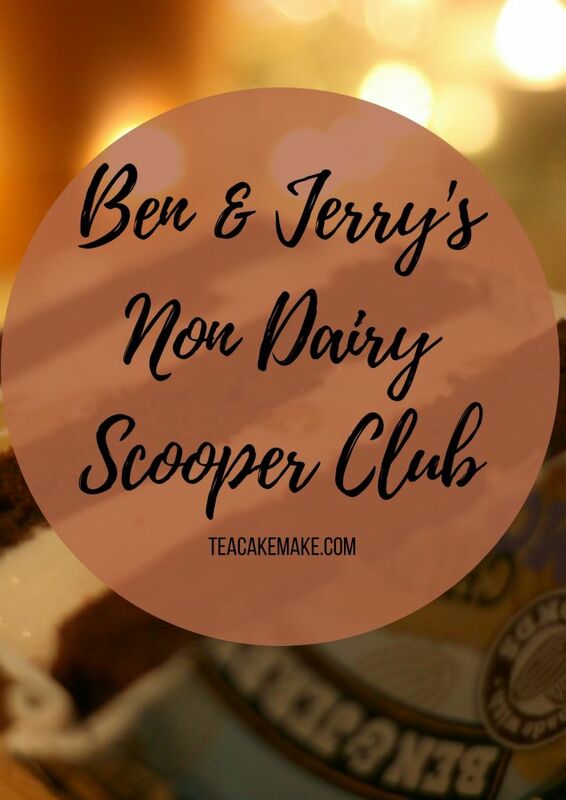 This dish was inspired by Ben and Jerry’s Peanut Butter & Cookies non-dairy ice cream. 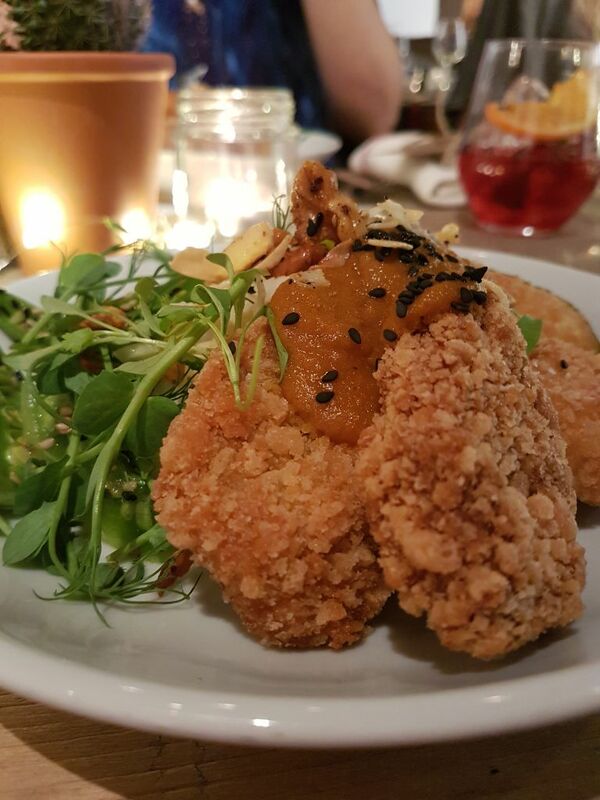 For the main course we had the Krazy Katsu Kurry by Gaz Oakley (Avant-Garde Vegan) – crispy panko coated tofu, plantain, squash and courgette, served with steamed sushi rice and a banana and coconut salad, and topped with a delicious katsu sauce. This dish was another delight – absolutely beautiful. This dish was inspired by Ben and Jerry’s Chunky Monkey non-dairy ice cream. And to finish, we had the most delicious and scrumptious pud! The Ben & Jerry’s layered tub, which comprised of one of two options – layers of vanilla cake with Ben & Jerry’s chocolate brownie non-dairy ice cream, or layers of chocolate brownie paired with Ben & Jerry’s non dairy Chunky Monkey ice cream. I had the second (although I may have had a taste of the extra one that Luisa and Pixie ended up getting) and it was so, so good. After all of that, you can tell that we were all suitably full! If you’d like to make any of the dishes featured above, then you’ll find the recipes here. I’m definitely going to recreate them all! All in all it was such a lovely evening. The food was delicious and the company was delightful! Now, Ben & Jerry’s, when’s the next one going to be and can I come again please?! 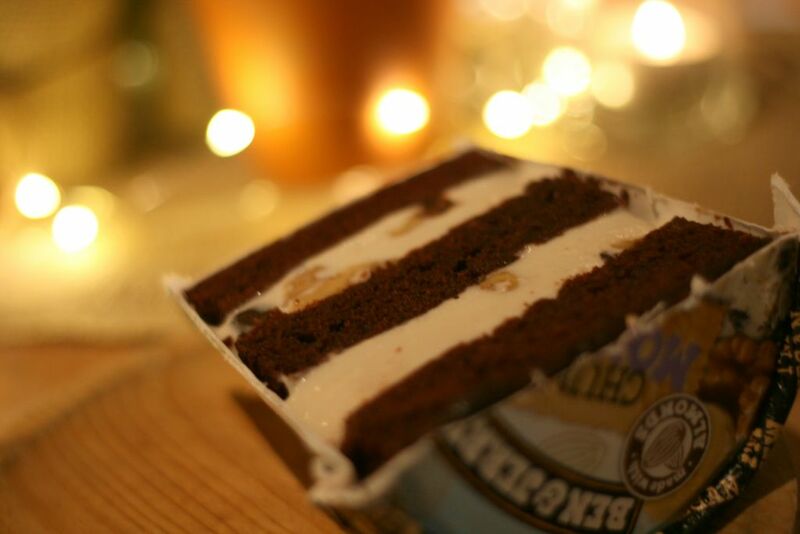 If you were to devise a dish based on your favourite Ben & Jerry’s flavour, what would it be, and why? Let me know in the comments below! 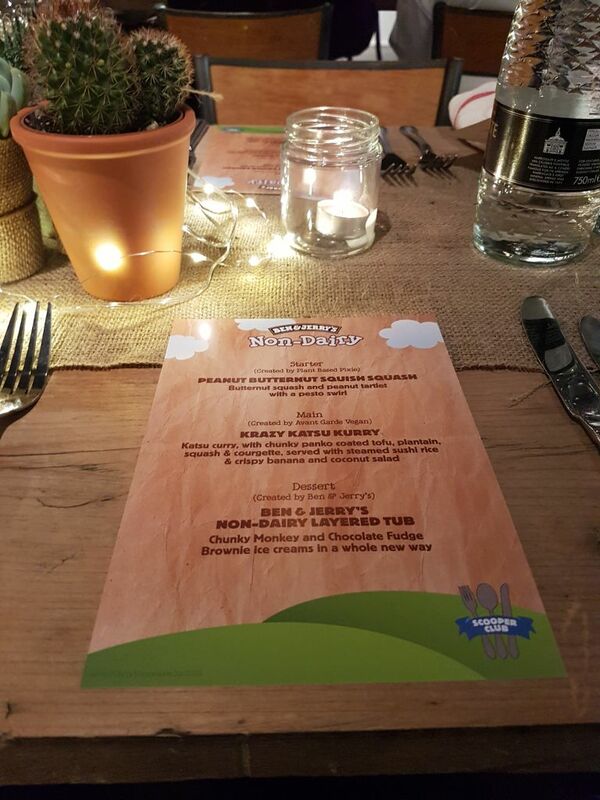 You can find my blog post on the Ben & Jerry’s non-dairy UK launch here. I have got a tub of this in the freezer. Really must open it! !